Do you want to share and use your skills, knowledge and expertise more? Do you want to be part of an inspiring and impactful project or an exciting job opportunity? Are you just looking for ways to boost your personal growth and develop yourself as a changemaker, leader and entrepreneur? 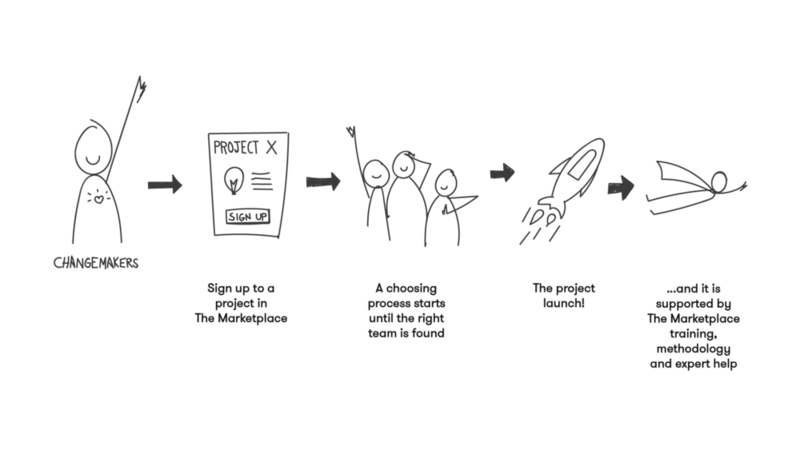 These are all great reasons to sign up to one of the projects on the marketplace. ZurichRetreat is a concept to create a holistic campus for transition competences in the surroundings of Zurich. We want to become the leading competence center for all change relevant knowledge, offering individuals and organisations ideal conditions for learning and transformation. We want to create an ecosystem that catalyses change and serves at the same time as a prototype and model for a new society. We are looking for a creative mastermind who wants to take on a 2 months Project Assignment (40%) to give our community of volunt’heros a voice, through images, films, and graphics. The International Student Festival in Calabria will take place every 2 years in Cosenza, Calabria. The ISFiC aims to gather 100 students from all over the world regardless the nationality, race, religion, orientation and provide them with a space to discuss about the current global issues. We are looking for support, Ideas, creative souls willing to work with us, collaborators etc. Saware Dicha" wants to change the life of children and women in the rural village Saware in the South of Ethiopia – in a sustainable way. We are looking for volunteers with skills in website design, social media and video making, as well as experts in education. We are looking for hosts to facilitate our Dialogue Evenings, or for motivated space owners, whom would like to bring a Dialogue Evening into their space. You love being part of a vibrant community of changemakers and dream about making it grow strong, resilient and local, close to you, your heart and values? We are looking for passionate local hosts to organise and host regular gatherings. We are looking for someone who is inspired to help us develop the marketplace. To reach the aim of creating a container and community platform for positive impact.